Do you love thinking critically about your favorite comics, superhero tv shows, or the latest sci fi epic that has hit the big screen? Is settling in with a book that dissects the social relevance of fandom, horror movie tropes, and virtual worlds your idea of a good time? If so, we have something perfect for you! There are tons of great books on geek culture — far too many for one person to read. That’s where we come in. 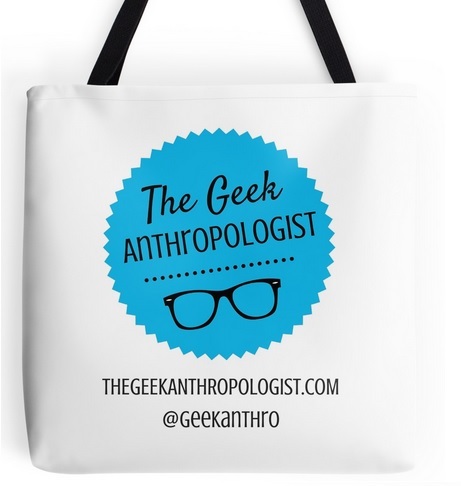 The Geek Anthropologist is resurrecting (zombie-style!) our book review series. We want to help our readers find fantastic books on their favorite topics that also offer a deep dive into social and cultural issues, advance insightful ideas and criticism, and provoke and encourage readers to think about geek culture and media in a new way. These reviews offer a summary of the book’s major themes and discusses how the book relates to topics in geek culture and anthropology. How does the book further current conversations? If you’ve read similar books, how does it compare? In a world full of awesome reads, is it worth our time? And why? These book reviews will typically have a 1000 word maximum. These in depth reviews cover many the same topics as short reviews, but are more critical, incorporate additional scholarship, and further situate the book within the existing body of literature. Did the author reach the goals that were set for the book? How do they build upon existing scholarship and (hopefully!) provide a new, innovative approach? Reviewers are encouraged to expand beyond the book, drawing in and reflecting upon current events, new tv shows/movies/video games released after the book’s publication, and related aspects of geek culture not discussed in the book. These essays will typically have a 3000 word maximum. For example, consider Aubrey Slaughter’s review of Gabriella Coleman‘s Hacker, Hoaxer, Whistleblower, Spy: The Many Faces of Anonymous. We also welcome reviews in video or audio format! They can be short and sweet, or epic in length, but should include the same content as the written form. If you are thinking about a video or audio review, include this in the pitch and we can talk about the particulars. The first step is to check out our book list of desired future reviews. If you know of another great book that isn’t on that list (and which deals with geek culture, intersects with anthropology, and was published within the last 2 years), great! Feel free to suggest it, and include the name, title, and a brief description. Next, pitch us your book review. Send an email to thegeekanthropologist@gmail.com. Introduce yourself, tell us about your exposure to anthropology and/or the social sciences, what you love to geek, and which book you want to review. Why are you a perfect fit to review this book? Give us a broad idea of your timeline — how soon would you want to read it, and how long would it take to craft your review? We also welcome collaboration with academic departments–if you are teaching an undergraduate class and want your students to try our the genre of book reviews, we’re open to exploring synergistic opportunities with your classroom. If multiple people want to review the same book, we’ll select the best candidate for the job. We’ll try to get back to you within a few weeks to let you know if you are our chosen reviewer, and to discuss timelines, ideas, and other details.